Some of you might have seen my recent travels to a few Islands with my family. 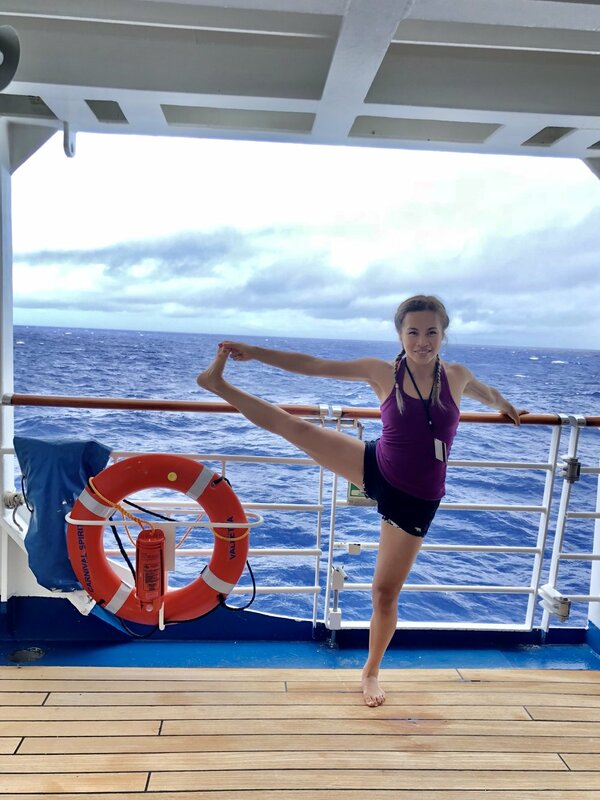 It was the first time on a cruise and I had a lot of excitement as I prepared for my trip. At the same time I had mixed feelings of fear, knowing that I would be 'stuck' on a ship that whole time. 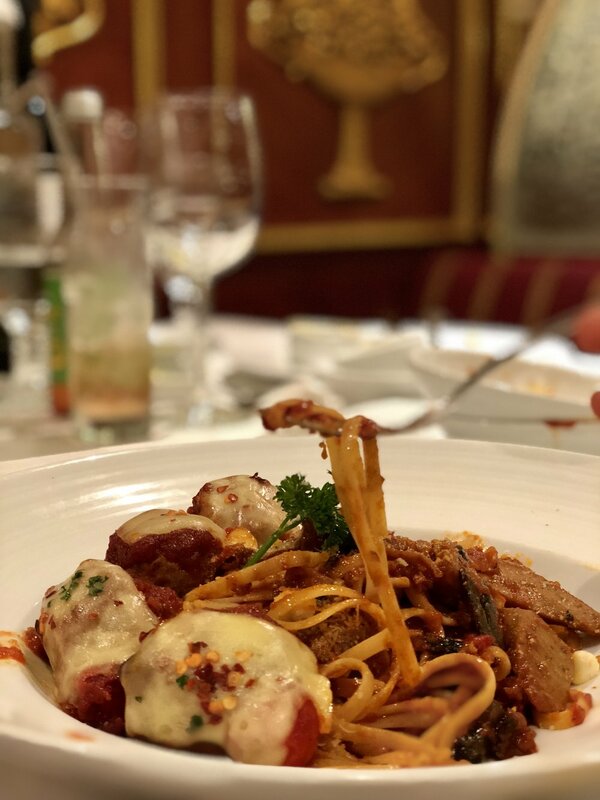 The first two days were amazing as I explored the ship and went to all the events, tried as many dishes I could and being the foodie I was, I was constantly anticipating what the menu looked like for the next meal. Then first day of landing, we arrived at Isle of Pines - the name pretty much gave it away, an Island full of pine trees 🌲! My jaws dropped when I saw the view - it was the most beautiful place - crystal clear waters and we got to eat some local street food, like coconut chicken with yam, lobsters/sea bugs and garlic butter snails.. hmm 😋😋😋And of course, got some yoga pictures while I was there! Then the following few days we explored more Islands, yet again, more beaches, more food, and more yoga photos. First thing I quickly realised was that the more you seem to see the same things, the less you appreciate it. It was breath taking the first few times you see it, and then you start to think, is this just the norm? Maybe that's like everything we have in life, we just start to take things for granted. A mindset we are all learning to work on, and definitely one that I have been focusing on the mat in my yoga practice (gratitude). Then after 4 island visits, it was time to head back to Sydney. The two days travelling back was not what I expected. I was feeling sick. Physically I felt tired from all the exploring. Mentally I felt drained from the lack of space I had from people all around me. I have always been an extrovert so a lack of space has never been much of a problem for me, yet I felt that I needed to be away from people - away from dining with hundreds to thousands of people at once. Suddenly I realised that I was longing for that quiet space - just me and God - no one else. I started to feel really homesick. Maybe I missed my bed? Or just asian food? Who knows - but I couldn't wait to be back in Sydney again. I find myself having these mixed feelings every time I travel. Feelings of excitement as I eagerly pack for a trip away from routine, then an overwhelm of unease because I have broken away from my routine that I have found comfort in. When I finally came back to Sydney, I started to have many mixed emotions as people started asking me about my trip. I loved it - yes I really did, but would I go again? I'm not quite sure about the answer to that. I guess there's always a bitter sweet to everything.